2. What Debts Can Be Taken From Your Federal Taxes? 3. What Does the Nevada Homestead Exemption Protect? When you owe money, whether it's to a credit card company, a mortgage lender or an auto lender, think of it as a negative entry on the balance sheet of your personal finances. When you pay on the debt and the balance of the debt goes down, your overall worth increases. If a lender agrees to cancel your debt for whatever reason, that negative value disappears, and the Internal Revenue Service considers that cancellation to be income to you. Cancellation of debt for credit cards, home loans, car loans, medical bills and any other debt is all treated the same by the IRS: canceled debt is taxable income. There are exceptions for debts discharged in bankruptcy, debts forgiven as a gift or debts canceled when you're insolvent. "Cancellation of debt" is a term used by the IRS to describe a debt that has been forgiven, discharged or charged off. A debt is an amount you owe to someone else, like a credit card, car loan or a home loan. When the creditor (the person or entity to whom you owe the money) forgives, discharges or charges off all of the debt or a portion of it, the IRS considers the debt "canceled." If a creditor cancels a debt, it must issue a Form 1099-C to you and submit a copy to the IRS to report the cancellation if the forgiven amount exceeds $600. If you receive a Form 1099-C, talk to your accountant or attorney; the issuance of a 1099-C does not necessarily mean that the creditor won't come back for the remaining balance. 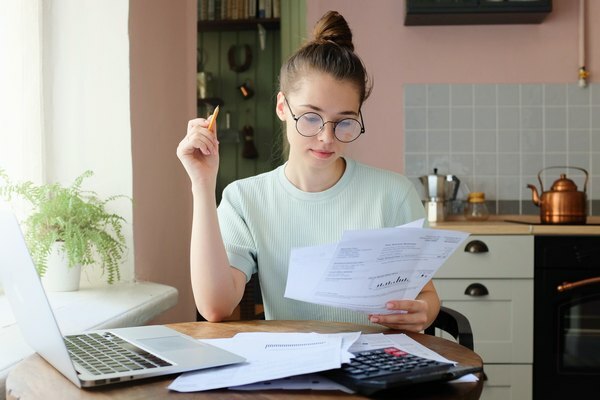 If you receive a 1099-C, you'll need to report that canceled debt as income on the tax return for the tax year in which the debt was canceled. Canceled debt is considered to be taxable income in most cases. That's because the forgiven amount is essentially the creditor giving you money. For example, if you owe $10,000 on a credit card and the creditor agrees to accept a $6,000 lump sum payment and let you out of the rest, the creditor has forgiven $4,000 in debt. This is canceled debt, and that $4,000 is considered income to you. The credit card company "gave" you $4,000 because you would've had to pay it, but now you don't. A debt might be forgiven by agreement. If you can't afford to repay a debt in full, a creditor might agree to accept a lower amount and forgive the rest. This can happen with a credit card, as mentioned above, or with personal loans or medical bills. It can also happen with a secured debt, like a car loan or a home loan, if you gave up the collateral (the car or the house) but the balance on the loan is more than the collateral's value. For instance, if you owe $100,000 on your house but you can't seem to sell it for enough money to pay it off, the bank may agree to a short sale, where you can sell it for less and they'll release the mortgage. If you then sell the house for $80,000, the $20,000 difference, which is called a deficiency balance, is a canceled debt (although you still owe that amount unless the bank agrees otherwise, so make sure you get a written agreement that the deficiency balance is forgiven). A debt might be charged off. A creditor might also cancel a debt if they've had it too long and it's not getting paid; they'll charge the debt off on their books and inform the IRS of the cancellation. This is called a "charge off" or a "charged-off debt." However, a charge off does not mean the debt is forgiven. A debt might be discharged in bankruptcy. If you file a bankruptcy case and do everything you're supposed to do in the case, except in certain circumstances, you'll receive a discharge order at the end. This means your liability on those debts is wiped out. Not every debt is dischargeable in bankruptcy, but most are, including credit card debt, medical bills, personal loans and any deficiency balance on the surrender or foreclosure of a house, or a surrender or repossession of a car. A debt might be forgiven as a gift. If you owe money to a friend or a relative and he agrees to forgive the debt, it may be considered a gift from him to you. You may see a notation on a statement or in a letter that a debt has been "charged off." A charge off is an accounting entry that lenders use to write off bad debt. If a bank can't collect on a loan – for example, for more than six months – then the bank might charge off the debt so that it no longer appears as an active debt on their books, because it appears to be uncollectible. They might then issue a Form 1099-C for that tax year. However, a charged-off debt is not necessarily forgiven. The bank could still try to collect the debt from you later, even if you reported it and paid taxes on it. In many cases, a person might receive a 1099-C and think everything is okay, only to find himself on the receiving end of a collections lawsuit. If you do receive a 1099-C for whatever reason, you may be able to exempt yourself from having to claim some or all of the canceled debt as income if you can show the IRS that you were insolvent at the time the debt was forgiven. Insolvency means that your debts are greater than the value of your assets. So if you owe $100,000 to various lenders and other creditors, but all the property you own is worth only $80,000, you are insolvent to the extent of $20,000 (you're $20,000 underwater). If you can show the IRS that you were insolvent when the debt was canceled, it will not be included as taxable income, but only to the extent of your insolvency. If your debts are $100,000 and your assets are worth $80,000, you're insolvent to the extent of $20,000. If a lender cancels $50,000 worth of debt, and you're insolvent to the extent of $20,000, then your taxable income will only be $30,000 (the amount beyond the extent of your insolvency). Any debts discharged in a bankruptcy – whether it's a Chapter 7, a Chapter 13, a Chapter 11 or a Chapter 12 bankruptcy – are not considered taxable income. You do have to obtain your discharge, however. If you file a bankruptcy case but it's dismissed before you get your discharge, you'll still owe your debts, and any debt cancellation after that is not considered discharged in bankruptcy without that discharge order. Debt forgiven as a gift is also not taxable income, because gifts are not taxable income to the recipient. The person forgiving the debt as a gift may incur tax liability because of the estate and gift tax, but as the person receiving the gift, you will not need to pay taxes on it. Another type of debt cancellation that is not taxable income is canceled debt related to your principal residence, such as your home mortgage. Debt cancellation on a mortgage might come up if you sell your house at a short sale (for less than what you owe on it) or if the lender forecloses on the house. As explained above, the difference between what you owed and what the house sold for is called a deficiency balance. If there is a deficiency balance, the lender must issue a Form 1099-C in that amount. If the debt cancellation on a house occurred prior to Jan. 1, 2018, or if you entered into a written agreement prior to that same date for the debt cancellation, and the house is your principal residence, the canceled debt is not taxable income. Any cancellations or agreements to cancel debt for a home after Jan. 1, 2018, however, will still be considered taxable income unless they fall under one of the other exceptions (insolvency, bankruptcy discharge or a gift). If you receive a 1099-C and you qualify for one of the exclusions (gift, insolvency or bankruptcy), you must complete a Form 982 and submit it with your tax return. This form reports to the IRS that you qualify for one of these exclusions and reports how much of the canceled debt should be excluded from your taxable income. If you don't fill out the Form 982 and you don't report the 1099-C income, the IRS will flag your return and assess taxes and penalties against you, and they may even conduct an audit. Make sure that all 1099-C income is either reported as income or excluded on a Form 982. Canceled debts are taxed in the same way as ordinary income. If you add the canceled debt income to all your other ordinary income, such as wages or salary, the total amount of ordinary income from all sources will dictate your tax bracket. 10 percent of all income less than $9,700. 12 percent of all income between $9,700 and $39,475. 22 percent of all income between $39,475 and $84,200. 24 percent of all income between $84,200 and $160,725. 32 percent of all income between $160,725 and $204,100. 35 percent of all income between $204,100 and $510,300. 37 percent of all income above $510,300. The first $9,700 is taxed at 10 percent, which equals tax of $970. The next $29,775 (the difference between $9,700 and $39,475) is taxed at 12 percent, which equals tax of $3,573. The next $44,725 (the difference between $39,475 and $84,200) is taxed at 22 percent, which equals tax of $9,839.50. The remaining income (above $84,200 and up to $120,000), which is $35,800, is taxed at 24 percent, for tax of $8,592. Your total tax, then, is $22,974.50, and your top tax bracket is 24 percent. IRS: What If I Am Insolvent? A & L, Licker Law Firm, LLC: What is the Difference: Cancelled Debt, Discharged Debt and Charged off Debt? Can Anyone Touch My 401(k)? Can Retirement Earnings Be Garnished in Georgia?